1 | Can the Adult Human Brain Produce New Neurons? Since the time of neuroscience pioneer Santiago Ramón y Cajal, the idea that neurogenesis in the adult human brain is impossible has been a dominant idea. However, we set that aside in the late 1990s when evidence showed that new neurons can form in the adult hippocampus. A new paper suggests that the old idea is the correct one—but it’s not without controversy. What should we tell our students? That’s how science works, folks! 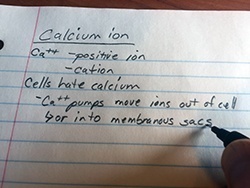 A simple analogy can help students remember a recurring principle about cell behavior involving important ions. 3 | Let’s Hear Your Take! You’ve got some insights sparked by topics in this podcast series? Let’s hear them, so we can get some power-brainstorming going! Record your thoughts by calling in. Or send a recording by email. Or let’s chat about an interview, okay? We all find it difficult to put all the facts and details together in our heads in a way that makes sense—that helps us connect ideas and gain insights. 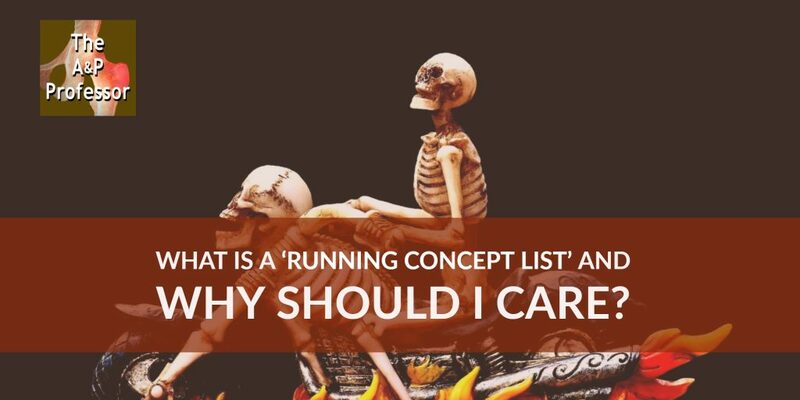 A simple technique of running concepts lists can provide a concrete template for this process. Used over time, running concept lists and also train the brain to make such connections easily. Thanks for the idea of concept lists. I like it because it eventually enables people to understand how A&P systems work together as partners to get a job done. With regard to Cajal’s ideas, there is a story I like to tell about his sharing the 1906 prize with Golgi. They did not at all agree about what Cajal was seeing in the silver stained brain tissue. Cajal said there was a small gap where neurons come together. Golgi argued there was no gap. Golgi’s opinion was dominant at the time. This history of neuroscience has some good stories. I’d not heard this one before.